The United Nations sent a humanitarian convoy on Tuesday to the Syrian town of Douma, six miles northeast of Damascus, UN spokesman in Syria Khaled Masri told Sputnik. MOSCOW (Sputnik) — In March, adviser to the UN special envoy for Syria on humanitarian issues Jan Egeland said that some 70,000 people in the town were under siege by armed Syrian opposition groups. 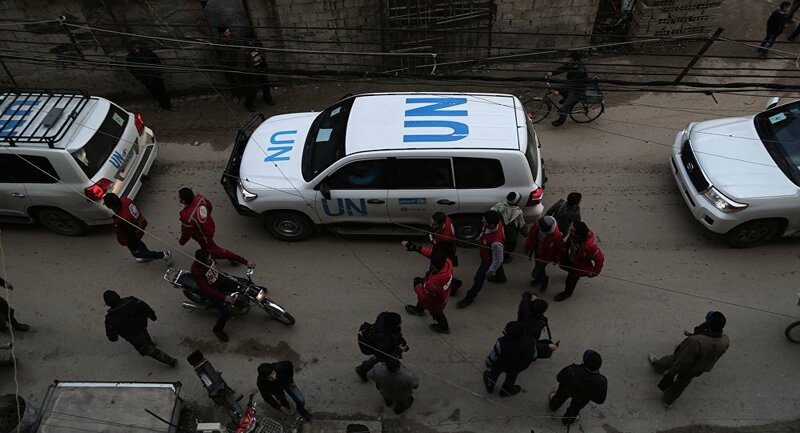 "The UN humanitarian convoy, consisting of 50 buses with medicines and food, was sent to the city of Douma in East Gouta, in cooperation with the Syrian Red Crescent," Masri said.